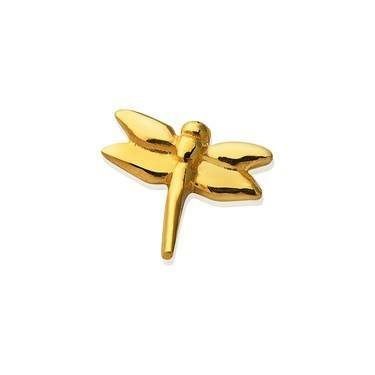 The gold Dragonfly charm is a beautiful addition to your collectible Storie charm locket. Crafted from 925 sterling silver, this dragonfly charm is finished in 18K gold vermeil for a bright and eye-catching finish. Each custom Storie locket is designed to be opened and personalised with your choice of floating charms which hold significance with you - creating truly treasurable Storie lockets unique to you and your journey.